For quite a while, Brandon “Seagull” Larned has led a dual life. Sometimes, he’s a pro player for NRG Esports. Other times, he’s the most popular Overwatch streamer in the business. One guy with two time-devouring careers. Something had to give. Today Larned, who’s known for his dazzling Genji plays, announced that he’s stepping down from NRG’s main roster to focus on streaming. However, Larned isn’t calling it quits on his esports career. He’s only stepping away for now. See, Overwatch’s pro scene is in a weird place. Outside of APEX, most tournaments are small, independently run online events that offer little in the way of fanfare or prize money. 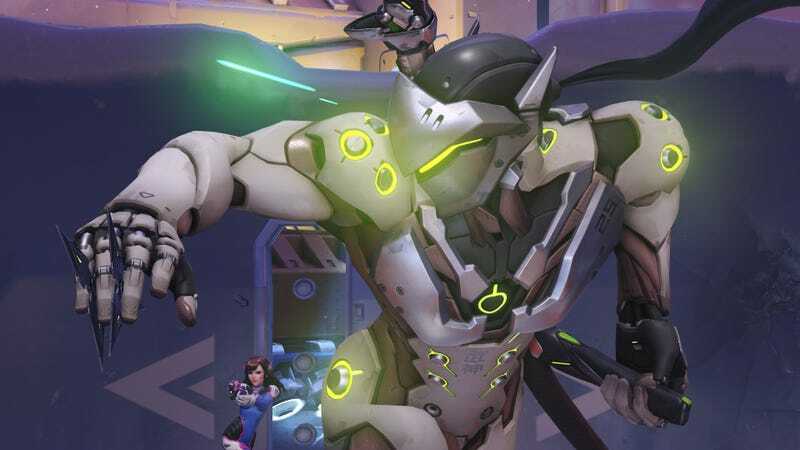 It’s hard for players to justify siphoning their blood, sweat, and tears down that particular drain while they wait for the real main event, Blizzard’s official Overwatch League, to kick off at some point in the near-ish future. Larned says that, for the time being, he’ll function as NRG’s “biggest cheerleader” and stream under their banner. He hopes to return to pro play as soon as the first season of Overwatch League begins. But of course, if he tries to do that and stream, he’ll be back at square one, with the added pressure of Overwatch League’s significantly higher-stakes buckling his shoulders.